Working with external sales partners reduces your company’s risks. Compared to hiring employees there are less overheads and agents work on a commission basis, so you only pay for results. The right independent sales agents are experienced in your industry sector and have an existing trust-network of customers and contacts to leverage, this gives you a much faster connection to buyers than recruiting and training sales staff. Quickly connect with your chosen style of commission-based sales agent, from traditional B2C and B2B sales agents to appointment setters to lead-gen affiliate partners and online sales portals. How to Find Sales Agents ? To find sales agents and other commission sales partners, simply follow 3 simple steps and your advert and targeted campaign will commence the next working day. Select the service that best meets your requirements from the options below. Complete a brief form and make the payment for the selected service. Provide information for our copywriters to create your advert, or the advert text. You will receive a link to your published advert so you can approve it or request any changes. Once approved, your chosen campaign will start driving sales agents that are actively looking for new opportunities to your full-page advert. The advert will also be linked from our Sales Agent Opportunities page. The responses to your advert will come directly to you and include contact details and information that shows how the agents meet your requirements. We ask that you acknowledge receipt of the responses and let the agents know if you will be taking their application further. 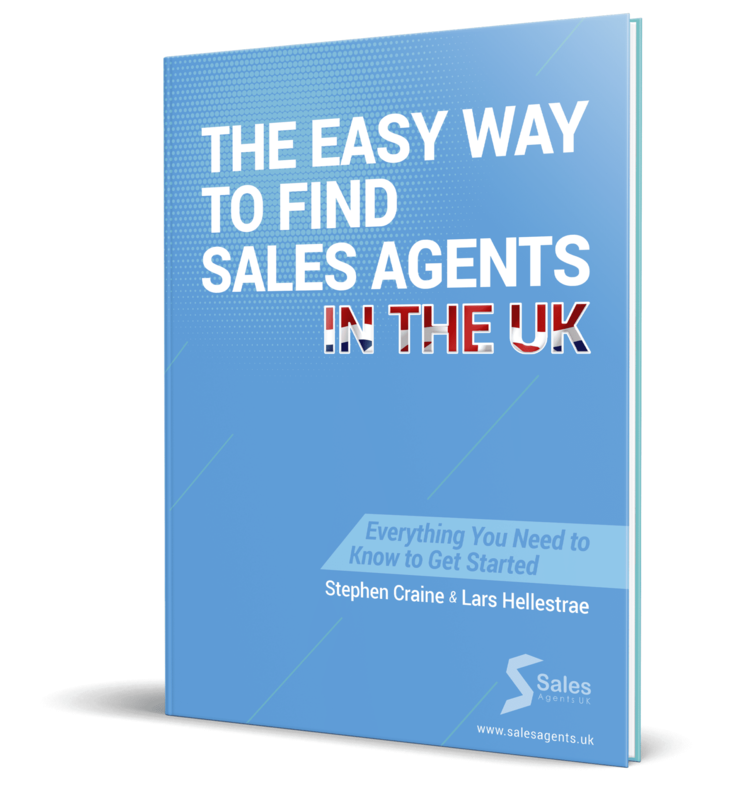 Why Salesagents.uk services work so well ? At Salesagents.uk we have built a community network of sales partners across all sectors who are actively looking for new offers to present to their existing customers and contacts. Our services are actively managed and can promote your sales opportunity to website visitors, our network of contacts, and to agents outside of our community through a paid advertising campaign. Will be seen by our visitors. Seen by thousands of sales agents. Rapid results. Generate the most responses with our best solution. We became aware of Salesagents.uk through their website and after speaking with them we realised that the service that they provide would be easy, cost-effective and relatively low risk. From the campaign undertaken, we received a very good response of quality individuals which resulted in a positive appointment. The speed of response of the team at Salesagents.uk and their professionalism was a joy to deal with and I have no hesitation in recommending Sales Agents UK to any business looking for quality Agents. What is unique about Salesagents.uk? At Salesagents.uk we offer managed and customised campaigns, with the Standard and Premium services, to target your opportunity directly at sales agents and other sales partners that meet your requirements. We have built a community network of self-employed and independent sales people that work on a commission basis, and we work hard to get your advert seen by the right people. We don’t just rely on matching your advert with a database or advertising all opportunities in the same way. We use our extensive online presence on social and business media, discuss opportunities in online groups that we manage or are contributing members, and we promote adverts with our own newsletter. Salesagents.uk targets your opportunity at people that fit your criteria using an array of resources to customise your campaign. What are the benefits of selling through sales agents? You don’t employ sales agents, they are self-employed individuals, independent agencies, or business looking for new products or services to sell, so you don’t have the overheads and resource requirements associated with employing your own sales team. This doesn’t mean it’s a cheap option, sales agents are professional sellers and you’ll need to pay good commission on sales to attract the best agents in your sector. The key benefit for businesses selling through sales agents is that you only pay for results. - You don’t need the resources associated with administering and managing an in-house sales team. - Many sales agents have existing customers and a network of contacts. - Agents can sell face to face, online, or through telemarketing. - Agents can perform many roles: sales, lead generation, prospecting. And, selling through agents leaves you free to focus on running your business. We offer 3 different service packages to meet your requirements and your budget, you can see them a bit further up this page. The services provided by the different packages range from a Self-Service advert on the Salesagents.uk website, to customised promotional campaigns and paid advertising to reach larger audiences. How soon will my advert go live? Once we have received payment for the service and the information to create an advert, your advert will be published and the promotion campaign commenced the next working day. We will send you a link to your advert asking you to approve it or request any required changes. Will you help me write the advertisement? Yes, when you order the Standard or Premium services our professional copywriters will write the advert for you, using information that you provide, to ensure your opportunity is clearly presented and receives the maximum number of responses. The writing of your advert is included in the price for both the Premium and Standard services. If I order the Self-Service package, what information should I include in my advert? The Self-Service is a cheap way to get your advert published on the Saleagents.uk website. You are relying on the general advertising we do to bring agents to the Opportunities page where they see a brief description and a link to your advert. - Your criteria for sales agents and information on their role. - You will be asked to complete an advert template if you purchase this service. Who can advertise on Salesagents.uk? As long as you’re a serious business, and what you sell complies with British law, you can advertise with Salesagents.uk. You can advertise for sale agents and other sales partners for any type of sales or related functions such as, agents to sell products and services B2B or B2C, affiliates and online sellers, and lead generators to provide qualified prospects or drive customers to your website. When you’re ready to use commission sales agents in your sales strategy, Salesagents.uk is the ideal solution to help you find sales partners for many types of businesses. Can I change the advert during the advertisement period? Yes, you can request changes to your advert by simply sending us your required changes in an e-mail and we’ll make them, free of charge, anytime during your current campaign period. Can we link to our e-mail or website in the ad? Yes, of course. Your advert on the Salesagent.uk website can include links and email addresses, photos or graphics, and also video. Can you help us find sales agents in other countries? Yes, we can. Just complete the short form telling us about your requirements and we will get back to you with a proposal.